Football may not be life or death but Saturday will change the world as we know it – Up the Wolves! Barnsley need to lose, Crystal Palace need to thrash Peterborough and we need to beat Brighton – if this all aligns then Wolves will remain in the Championship. 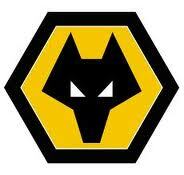 I rue the day when I said I preferred Wolves in the championship because at least we won matches. There is also the 4 goal swing which needs to be considered, soI will be following the Palace score witha keen eye – if Wolves win I can’t see it by a big margin, so Palace need to score at least 3 with keeping a clean sheet. If Wolves go down, so will we all. The sinking feeling in the Midlands will be so great that the country will sink in the middle, bringing the two ends of the country together before we slip down into the abyss below. So you see the country’s fate is intrinsically attached to Wolverhampton Wanderers. I personally will blame Kevin (you know who you are) if we go down as a result of Palace’s incompetence in front of goal! I so hope we do Jason…..& PLEASE please thrash Brighton! !